360 Direct began working with an independently-owned paper converting company in 2016. Norkol has been known for its family business model and problem-solving, waste-saving approach since they opened their doors in the 1960s. 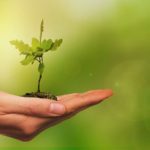 This family business has since grown into a major packaging provider for Fortune 500 companies all over the United States. Originally, their primary marketing concerns included updating the company website, keeping sales collateral current, and having a consistent digital presence. From the beginning, this client understood the need to leverage marketing to reach into new markets in order to meet the company’s aggressive growth goals. The client’s monthly program started with a new website build and later expanded to include marketing new product lines, partnerships, and other campaigns. 360 Direct built Norkol a website that was responsive to all screen sizes and easy for users to navigate. Perhaps most importantly, it was built to be able to grow as fast as the organization was expanding. Since then, new pages have been added regularly as Norkol’s product and service offerings grow. This even includes a custom coded calculator page that their sales team requested. Norkol began with a limited amount of sales collateral. 360 Direct’s first step was creating pieces for every major product line to establish consistency. Now pieces are updated as capabilities change and created for new partnerships and product lines. This ensures the sales team always has everything they need for a new prospect. In fact, some of the projects are requested straight from the sales team! SEO is important for increasing web traffic without relying on paid advertising. Regular blog posts and new web pages have increased Norkol’s visibility organically. When they first became a client, they ranked for 20 terms among search engines; today they rank for 274. The result is a 30% increase in web traffic year over year. In addition to regular blog posts, social media is also active. With so many things happening at Norkol, there’s also a monthly email newsletter that goes out so their customers stay informed of everything Norkol has to offer. While content is regularly pushed to their current lists and audience, Norkol is interested in expanding their reach with PR and editorials. Press releases are distributed when there’s noteworthy information to share. In late 2018, Norkol began pursuing editorials. Norkol has had articles published in Total Food and Packaging Strategies, with three more editorials in two other publications planned for later in 2019. These articles expand Norkol’s reach and position them as thought leaders in their industry. 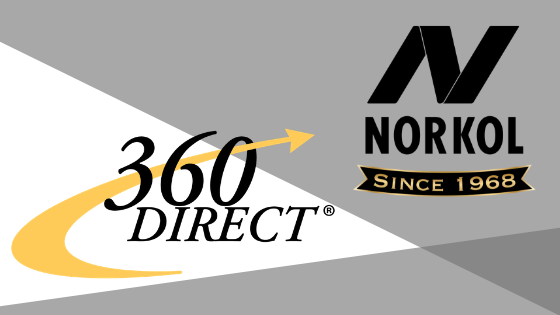 There’s always something wonderful happening at Norkol, and 360 Direct is honored to work with them towards their business goals. We love it when a member of their sales team makes a special request, because it means our content has value beyond SEO and branding. It’s providing the sales team with the tools they need and want. The client is thriving and successfully adapting in an ever-changing industry, utilizing marketing to convey those adaptations to their target market. Just as they are forward-thinking in their product lines, they are also forward-thinking in their marketing strategy, and we have exciting projects planned for 2019 and beyond. 360 Direct is an innovative marketing agency helping brands expand their reach both digitally and traditionally.